These are boom days for writers and readers looking for thoughtful, hard-hitting stories about real-life crime. Whether you’re in the mood for a high-octane page-turner, an investigation, or a penetrating memoir, chances are there’s a book (and many a podcast or docu-series) out there for you. In 2009, a shocking crime in Portland, Oregon captured national attention. A young mother named Amanda Stott-Smith brought her two young children to the Sellwood Bridge and dropped them off the bridge into the Willamette River. 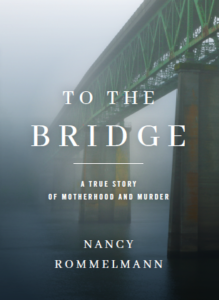 Journalist Nancy Rommelmann spent much of the next seven years trying to find out just what happened on that bridge, and what drove a mother to such a desperate, terrifying act. Rommelman is a dogged investigator, one who refuses to accept any of the easy or convenient answers. Diving into the official record and conducting penetrating interviews, Rommelmann offers up a complex, nuanced portrait of a woman, a family, and a crime that runs counter to everything we think we know about human nature. Few epochs stir up quite so much intrigue, mystery, and glamor as Shanghai in the 1930s: a divided city, a bustling port, a crossroads for the world, and a kind of frontier outpost where the citizens largely made up their own laws. 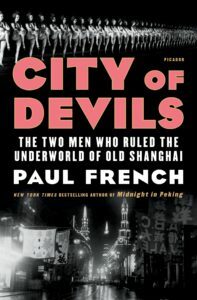 In Paul French’s new book, City of Devils, that epoch is brought to life in brilliant fashion as French conjures up the world of “Lucky” Jack Riley and “Dapper” Joe Farren, two expats who lorded over the Shanghai nightclub circuit and soon got involved with all manner of illegal activity. French, the author of Midnight in Peking and a regular contributor here at CrimeReads, has a rich sense of place and an assured, engaging style that adds impressive layers of complexity and humanity to historical figures all but forgotten to time. City of Devils represents the very best of historical true crime: learned, gritty, and raucous. Let’s call this one “true crime adjacent.” In the late 1960s, Mike Scardino took a summer job on an ambulance crew in New York City, offering him a strange, macabre, and compelling insight into a part of city life seldom seen. 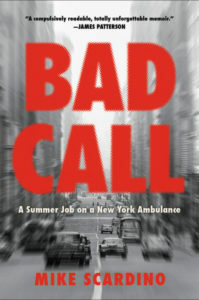 In Bad Call, Scardino remembers his first dead body on the job, swelling riots, plane crashes, and a mounting heat wave that seemed to drive the city into a frenzy. His memoir is morbid and entertaining: a snapshot of life and death in the big city of a bygone era. 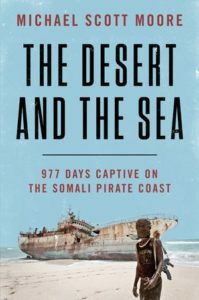 When Michael Scott Moore took a trip to Somalia to investigate the roots of, and efforts to end, widespread piracy, and ended up becoming a hostage to pirates himself for nearly three years, before his return to the states. The Desert and the Sea harkens back to captivity narratives, one of the predominant narrative forms in the 16th and 17th century, but with an immediacy and excitement born of recent history. 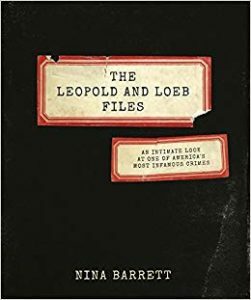 The Leopold and Loeb case has captured our imaginations and inspired our visceral disgust ever since the two murderers kidnapped and killed a child, seemingly just to see if they could. The book Compulsion, and the film adapted from it, gave a strong narrative drive to an already sensational case, and provided the perfect vehicle for Clarence Darrow’s particular kind of democratic moralizing. Now a new primary source collection gives new insight into the case, highlighting the ambiguities of the trial in a way that only true crime can. The document collection is tied to a 2009 exhibit on the two student murderers, put together by author and archivist Nina Barrett. 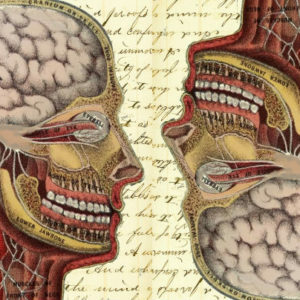 Are Serial Killers Born Bad or Man-Made Monsters?